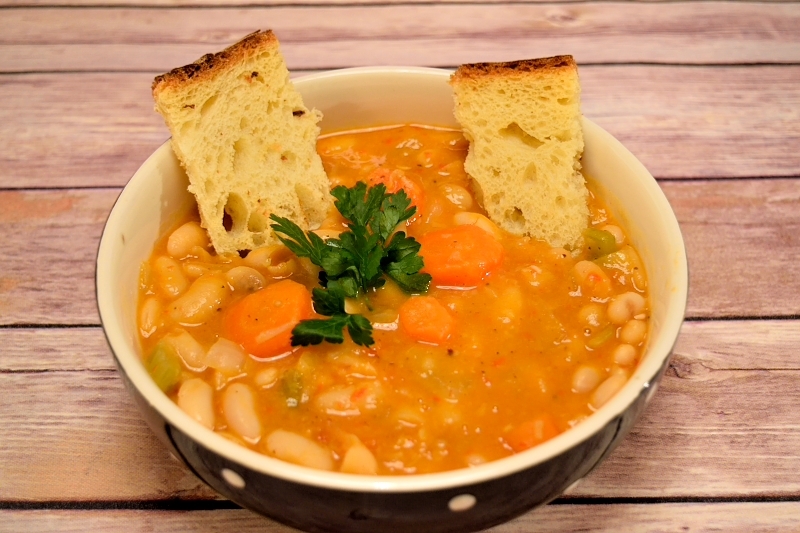 Traditional Greek recipe for vegetarian bean soup with carrots and celery. 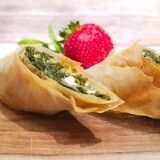 Extremely tasty, very nutritious and easy to make. 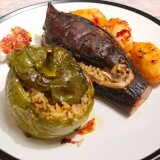 “Fasolada” is considered to be the national “dish” in Greece. It comes from the ancient times and it consists of beans and vegetables. Noting more, nothing less. According to Wikipedia, it was used as food during sacrifices for the Greek God Apollo. As a tourist, you may not find it in many restaurants and taverns, as it’s now considered to be a “poor” meal. You will need a Greek mum or grandma to make it for you. That’s why I am here! I want my readers to have the possibility of enjoying such a delicacy. The beans that you are going to use make a big difference. The ones we usually find in the supermarkets will do the job but they cannot be compared with some organic ones you can find in Greek villages. In any case, I truly recommend it as a warming, tasty and nutritious meal. 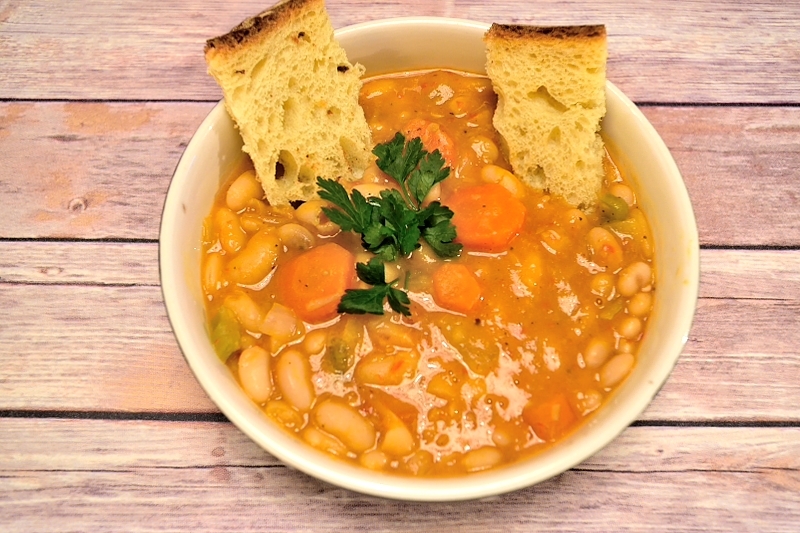 If you are feeling a bit adventurous, why don’t you try my beans and sausages casserole recipe? 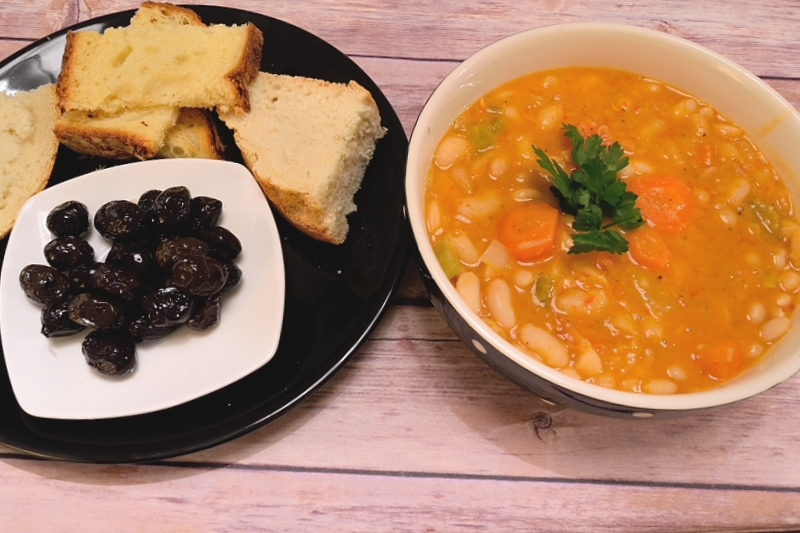 Do you like traditional Greek soups? 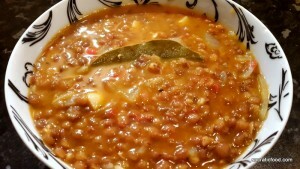 Why don’t you check out my recipe for Lentil Soup? 500 gr (17 oz) navy or cannellini beans. 1 large onion coarsely chopped. 2-3 large sweet and ripe tomatoes. 2 teaspoons of concentrated tomato paste. The night before, place the beans in a large bowl with plenty of water and let them soak overnight. In a large pot, boil the beans in plenty of water for ~ 15 minutes. Drain them, use fresh water and start boiling them again. 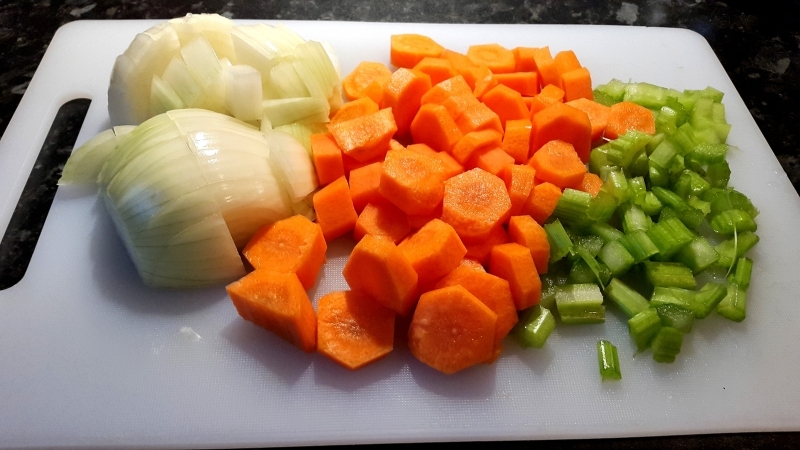 After ~ 20 minutes, add the onion, celery and carrots. Keep boiling on medium heat. Give it a stir from time to time. Use a blender and make a smooth tomato paste with the fresh tomatoes and the concentrated paste. After ~ 15 minutes, add the tomato paste and give it a stir. Depending on your taste, you may need to add some hot water if you think that there will not be enough of juice for your soup. Try the beans to check if they have softened enough. When that's the case, add the olive oil. Stir well and keep boiling. minutes before you finish cooking (meaning the beans are melting in your mouth), season with salt and pepper to taste. Serve hot, with lots of nice bread and olives. Thank you for your comment! I am sure red pepper flakes will give it a nice kick. 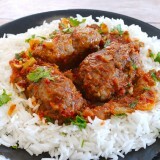 Will try this tonight as it is sarakosti and we are fasting in South Africa. Will give you feed back tomorrow. Kalin Sarakosti to you and your family.